Suspended solids and other fine particles can be removed from liquid streams by passing them through filters. 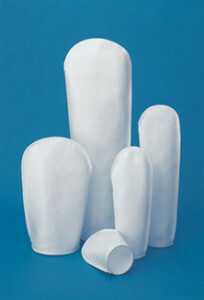 Housings for bag filters are stainless steel and polypropylene. We are the industry leader in providing components and cartridge filters, including replacement cartridges for filters that are manufactured by other vendors. Depending upon the application and water treatment requirements, filtration systems use a variety of media to remove contaminants. We provide a wide range of media, from sand, anthracite and quartz to conditioned media for iron and manganese removal, activated carbon, and replacements for membranes and cartridge filters. Our filtration systems include cartridge, gravity, greensand, walnut shell, fine sand and multimedia. Woven polyester pleated panel design disc filters increase treatment capacity and is an ultimate barrier for suspended solids in tertiary treatment processes. 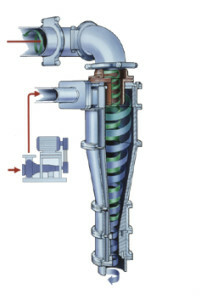 The inside-out filtration design allows for a higher operating headloss capability, ensuring a more sustainable operation in terms of more throughputs, better feed distribution, and fewer backwash frequencies. 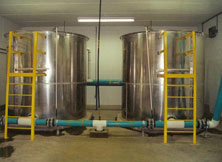 Applications include; water reuse, tertiary filtration and process water filtration. 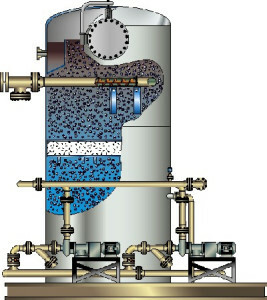 Filtration technology, from simple media filters to advanced membranes, is central to municipal and industrial water treatment systems. Interest in these technologies will grow in the future as shrinking water supplies and rising water costs put pressure on the market. Suspended solids and other fine particles can be removed from liquid streams by passing them through filters. Filtration, typically used as a “polishing” step, refers to the capture of particles by passing water over or through one or more media. Filtration is the key to producing high-quality effluents required for modern regulatory compliance or reuse. 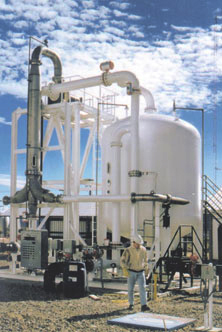 Filtration system technologies used in modern advanced treatment are mostly well established. Changes in the marketplace are steadily moving these new methods from specialty applications to the mainstream. Two trends are largely responsible, reduced water supplies and stricter regulations. We design and install water and wastewater gravity filters of all kinds–shallow bed, traveling bridge, deep bed, packed filters, pressure filters, precoat filters and more, which use a variety of filtration media including sand, gravel, activated carbon, and other granular media. 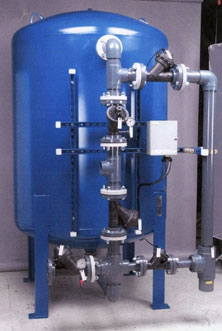 Our membrane filtration systems accomplish micro filtration, ultra filtration, Nan filtration, and reverse osmosis. 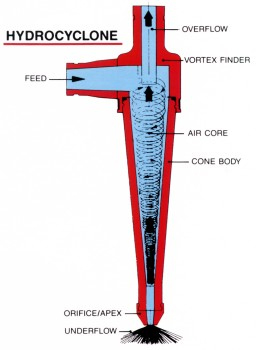 Suspended solids and other fine particles can be removed from liquid streams by passing them through gravity filters. We design and install gravity filters of all kinds–shallow bed, traveling bridge, deep bed, packed filters, pressure filters, precoat filters and more, which use a variety of filtration media including sand, gravel, activated carbon, and other granular media. Packaged drinking water treatment plants are safe, reliable and cost effective, specifically geared for the needs of small communities. We know it is sometimes difficult to comply with current and future regulations. That’s why we have developed packaged water treatment systems that take the guesswork out of solving your contaminated drinking water problems. The right package treatment technology for your water needs is dependent on a number of factors, including raw water source, flow rate and effluent requirements. In order to determine what type of water treatment technology accurately suits your situation, it is important that you first analyze the quality of your incoming water supply. This ensures the water treatment equipment you purchase will meet your specific water quality needs. If you need help to determine your water analysis, we can assist in analyzing and reporting on your water sample. Circular clarification technologies designed to treat water or wastewater to remove particles and reduce total suspended solids (TSS) to low levels. To meet your liquids/ solids separation needs, we supply a full range of separator devices, such as skimmers, decanters, and other ancillary equipment. 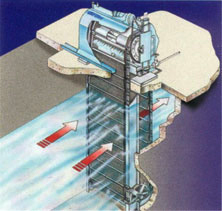 Dissolved air flotation and induced air flotation are two separation methods used to separate liquid from solids. Rectangular clarification is a separation process commonly used in very large or confined municipal and industrial spaces to remove contaminants from liquids, because it makes the most out of the available space. Debris removal for power plants, municipal drinking water intakes and other screening applications. Decanter Centrifuge range provides an effective, low-maintenance solution to continuous liquid clarifying and / or solids dewatering with advanced process and mechanical performance features. 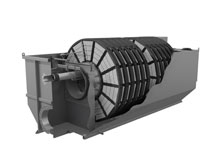 Small diameter hydro cyclones are being used at potato crisp and chip manufacturing plants to recover starch solids from the plant effluent water. Recoveries of around 80% starch are being achieved. More than 90% of the process water can be reclaimed. The use of Hydro cyclones instead of settling tanks and centrifuges reduces the separation time substantially. Washing and thickening duties also utilize these hydro cyclones. 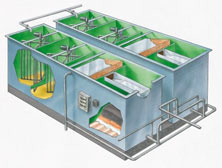 The corn starch wet milling industry uses 600mm ( 24″ ) and 200mm (8″) cyclones for stone and grit removal; 150mm (6″) cyclones for germ separation. 12mm cyclones are used extensively in starch washing circuits where their high capacity and exceptional gluten removal efficiency makes them an ideal choice. 10 mm cyclones are used in starch recovery and thickening duties.